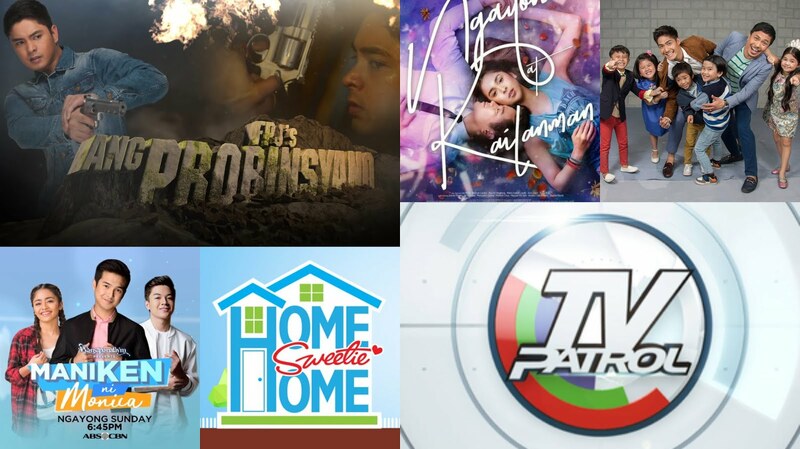 More viewers nationwide turned to ABS-CBN for value-laden and relevant news stories as it scored an average audience share of 44%, or 13 points higher than GMA's 31%, according to data from Kantar Media. ABS-CBN ruled both in urban and rural homes, particularly in Metro Manila where it recorded an average audience share of 42%, compared to GMA's 25%. It also won in Mega Manila with 36%, beating GMA's 33%. The Kapamilya network also kept its strong viewership in Total Luzon with an average audience share of 39% versus GMA's 34%; in Total Visayas with 53%, compared to 24% of GMA; and in Total Mindanao with 53%, while GMA only got 25%. Nine out of ten most watched programs were produced by ABS-CBN, led by "FPJ's Ang Probinsyano" (43.6%) and followed by "TV Patrol" (32.2%). Also in the top ten were "Ngayon at Kailanman" (29.4%), "The Kids' Choice" (25.6%), "Wansapantaym" (23.5%), "Home Sweetie Home" (22.6%), "Meteor Garden" (22.5%), "Halik" (22.1%), and "MMK 25" (21.8%). Meanwhile apart from raking high TV ratings every night, primetime teleserye "Halik" is also a hit online as it garnered over 3.6 million weekly views on iWant TV and a consistent trending topic on social media. The Kapamilya network also won across all time blocks, particularly in primetime (6PM-12MN) where it scored an average audience share of 48%, or 17-points higher than GMA's 31%. The primetime block is the most important time of the day when most Filipinos watch TV and advertisers put a larger chunk of their investments in to reach more consumers effectively. ABS-CBN also triumphed over its rival network in the morning block (6AM-12NN) with 36% versus GMA's 28%; in the noontime block (12NN-3PM) with 43%, compared to GMA's 32%' and in the afternoon block (3PM-6PM) with 44%, winning over GMA's 33%.